This is a interview of me talking about my work in Guatemala over the past 12 years. Information about “Cual guerra” and “Guerra inconclusa”, my 2 books of testimonies (in English and Spanish) is included as well. Voices for Justice: Guatemala from CATV 8 on Vimeo. In January 2016 we traveled to Bisan, a small village outside of Nebaj in the Guatemalan highlands. As members of the Guatemala Solidarity Project delegation, Laurie Levinger and Matthew Zimmerman met with local leaders to learn more about their community. We were inspired by Doña Catalina’s resilience and generosity in the face of overwhelming tragedy. We are starting a fund to help pay for food, clothes and school fees for the 6 children now in her care. New book of testimonies; Guerra inconclusa: La voz de los sobrevientes will be published in Guatemala in September, 2015. These are unedited stories told in survivors’ own words describing their experiences during the Guatemalan civil war. The cover photo was taken in Chajul in the Guatemalan highlands in 2014. Villagers are carrying the remains of their loved ones which had just been exhumed. 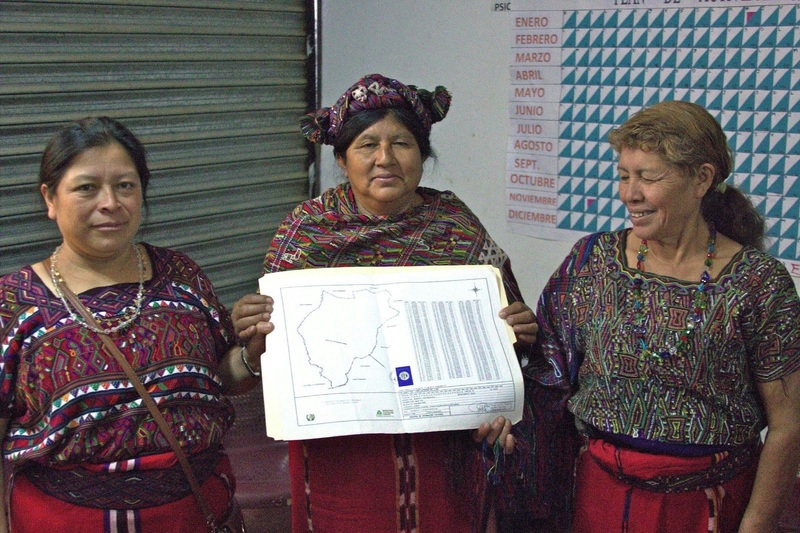 The book also includes a CD with three recorded testimonies given by young Guatemalans. Text and audio are in Spanish. These testimonies are also online at Vimeo with English subtitles: Esperanza, Azucena, Lupita. 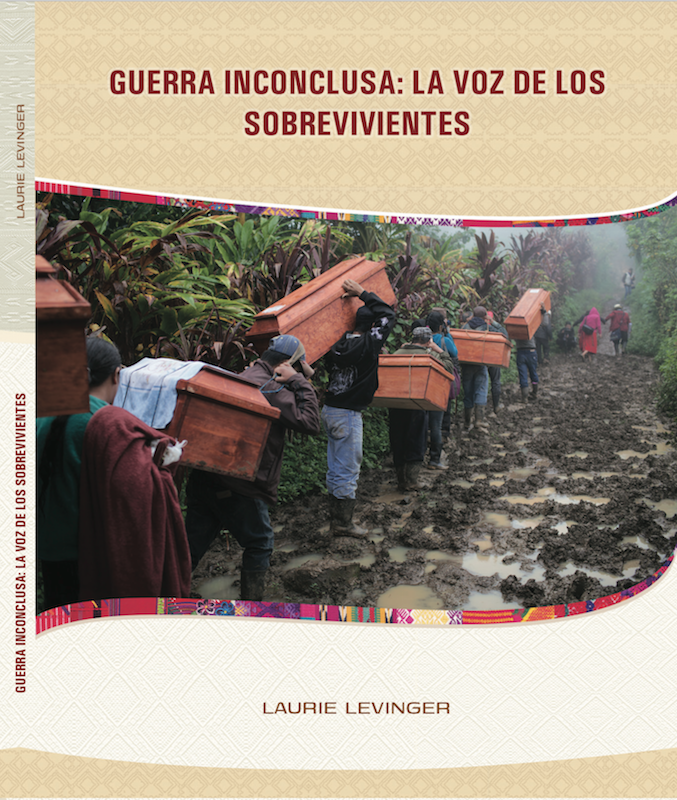 I am working on a new book of testimonies of survivors of the Guatemalan civil war titled Guerra inconclusa: La voz de los sobrevivientes (Unfinished War: Voices of Survivors). The following video includes part of a testimony given by Lupita, a 19 year old Maya woman who is a survivor of the civil war in Guatemala. The testimony is given in Spanish with English subtitles. A video of three verbatim testimonies will be included in the new book. Below is an audio recording of my reading a translation of part of the testimony given by Victoria, a 30 year old Maya woman. If you’d like to make a contribution to the publication of this new book and/or receive updates regarding its progress, please contact me: laurie@levinger.net. In August 2014 I returned to Guatemala to meet with some of the original students who had given testimonies about their experiences during the internal armed conflict. In addition, I gave a reading to the members of Asociación Grupo Integral de Mujeres Sanjuaneras – AGIMS, a group of domestic violence survivors and workers, and taught an anthropology class at the University of San Carlos. 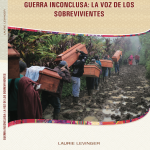 My current book, Guerra inconclusa: La voz de los sobrevivientes, includes previously unpublished testimonies. It will be published in Spanish by Editorial Maya Na’oj. Sam’s final letter to his parents, written some time in July 1937. Read in Valencia, Spain, January 28, 2014. This is a clip made for Spanish TV about the tour of the ruins of Belchite that colleagues and I took on January 25, 2014. We met a woman whose father had served with the Francoist army as a 21 year old doctor. She has just published his memoir called (in Spanish) “They Don’t Shoot People on Sundays”. We exchanged copies of our books. Interview with Saúl Martín González on Las Arenas del Tiempo: programa de radio de divulgación histórica. Broadcast in Madrid on February 26, 2013.